A local Wirral lad, having grown up in West Kirby, Rob qualified from the University of Bristol in 2005. 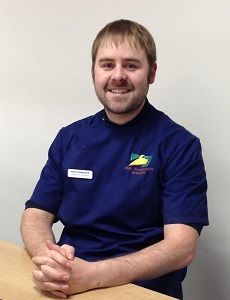 Since then he has worked both on the Wirral and in a large veterinary hospital in Bristol, during which time he has concentrated on small animal medicine and surgery. Rob lives locally with his wife, young daughter and son, along with their Labrador and Border Terrier. In his spare time he enjoys taking his family to Parkgate for ice-cream in his classic Mini Cooper Sport or for a day out in his classic Land Rover. Aileen qualified from the University of Glasgow in 2011 and worked in mixed practice in rural New Zealand for three years. She settled in Merseyside when she moved back to the UK and has been focusing on small animal practice since then. Outside of work she enjoys hillwalking, climbing and skiing when she finds the time. She has two rescue rabbits acquired from her last job. Laura is our Registered Veterinary Nurse who qualified in 2015. Although she has worked in other practices as a student, this is her first job as a qualified nurse. She lives in Hoylake with her Papillion, Lacey and her two rabbits, Minnie and Marley. Laura has always had a keen interest in rabbits and is known as "The crazy rabbit lady" in the practice! She is always building new runs and attachments for her bunnies. If she isn't doing that she frequently goes on dog walks with Barb and Kirstie to Royden Park. Kirstie started in February 2014 and is our Veterinary Care Assistant. 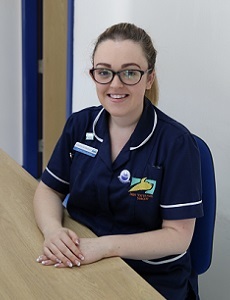 She started the job with no previous veterinary experience and has since grown to love the job so much she is looking at starting her Veterinary Nurse training soon. She lives in Irby, along with her two cats, Mylo and Tilly, and her Cockapoo, Maisie. If you are local you will probably see her walking Maisie around the village. Kirstie started the job with only one cat and ended up going home one day with a rescue kitten, so has already been affected by the dangers of the job! Barb is the friendly face you'll see behind our reception desk and is always happy to help. She has a wealth of reception experience, having worked within the veterinary profession for over 25 years. Barb has recently acquired three new kittens, and a Cavalier King Charles Spaniel puppy called Echo, and has had an interest in horses since the age of three. 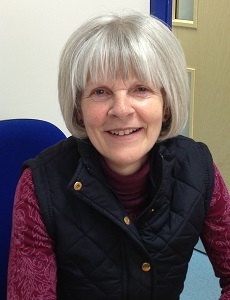 Di is one of our receptionists and has been with us since October 2014. She lives locally and have a Westie called Jamie and a rescue cat called Jethro; collectively known as "The Boys". Although Diane has mostly had cats all her life, she has a fondness for all domestic animals. Her interests include baking, genealogy, painting and is passionate about Liverpool FC. She has a busy social life with family and friends.